For we through the Spirit, by faith, are waiting for the hope of righteousness. For in Christ Jesus neither circumcision nor uncircumcision means anything, but faith working through love. Müller met Jesus at a prayer meeting in a private home, and the change in his behavior was immediate. He wrote, “I have no doubt ... that He began a work of grace in me. Even though I scarcely had any knowledge of who God truly was, that evening was the turning point in my life.”2 Anyone who knew Muller could not deny that the love that poured through him to the poor children of Bristol was because of faith in Jesus Christ. George Müller’s life and ministry provides a great example of the truth that I want to emphasize in this month’s Chariot of Fire. Faith works through love. In last month’s Chariot, we looked at the relationship between unbelief and love. We saw that where unbelief exists, love does not exist. They are antithetical to one another. 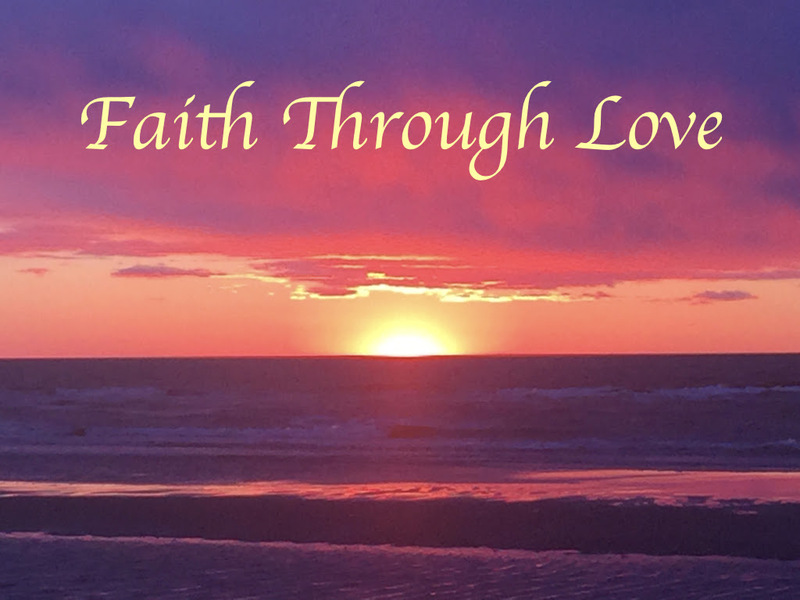 In contrast, this month, I aim to encourage you by showing you the link between faith and love. Where faith exists and works, God’s love flows. You’ll notice in verse 5 of Galatians 5 that Paul wrote that we Christians “through the Spirit, by faith, are waiting for the hope of righteousness.” Dr. Alan Cole, in his commentary on Galatians wrote, “It is by the work of the Spirit that we see Christ as our Savior. Indeed, it might almost be said that the gift of faith is the first gift of the Spirit to the newborn soul.”3 Like a nursing baby focuses on his mother’s face, the newborn believer sees the love of God in the face of Christ by the work of the Holy Spirit and receives justification by faith. That gift of righteousness not only covers us as we stand in grace, but it produces a hope within us of being completely conformed to His righteousness when we see Him. In Colossians 1:27, we are encouraged by Paul’s words, “Christ in you, the hope of glory.”4 The Holy Spirit in you is Christ in you. After Jesus told His disciples about His asking the Father to “send another helper, that He may be with you forever,” He said, “I will come to you.”5 The Holy Spirit’s presence and ministry in our lives, namely, helping us believe in the justifying work of the Father through saving work of Christ, produces a faith in us to endure through the blessings and storms of life as we wait for the promise of the imparted righteousness of Christ. The gift of faith through the work of the Holy Spirit isn’t a hidden grace. It’s the spiritual sign of the new covenant with God. Whereas circumcision was a sign made by human hands in the flesh to those who were under a covenant of law with God, it is the work of God by His Spirit that matters now that Christ has come. That’s why Paul wrote, “For in Christ Jesus neither circumcision nor uncircumcision means anything, but faith working through love. How do we know if we are recipients of the righteousness of God in Christ? We know because of the work of the Holy Spirit, who alone can produce a faith that generates God’s kind of love in and through our lives. The apostle Paul taught the Romans the same encouraging truth. Therefore, having been justified by faith, we have peace with God through our Lord Jesus Christ, through whom also we have obtained our introduction by faith into this grace in which we stand; and we exult in hope of the glory of God. And not only this, but we also exult in our tribulations, knowing that tribulation brings about perseverance; and perseverance, proven character; and proven character, hope; and hope does not disappoint, because the love of God has been poured out within our hearts through the Holy Spirit who was given to us (Rom. 5:1-5). With faith, through the Holy Spirit, pouring the love of Christ in our hearts, I hope you’ll join me in getting excited about praying and experiencing the reality expressed in what I call the i-live2love seed prayer. Look how encouraging this is! We ask for the Helper, the Holy Spirit, to help us keep our eyes fixed on Jesus – His sacrifice for us, His righteousness given to us, and His love for us – so that our faith may grow and spring into action through love. By this the Father is glorified in His Son through our lives, and we experience wonderful freedom and joy in our relationships with others. I hope you are encouraged by the grace of God in your life to live by faith to love with Jesus each day for His glory. The Autobiography of George Müller (Springdale, Pennsylvania: Whitaker House, 1984), p.14-15. Galatians, Tyndale New Testament Commentaries, R. Alan Cole, (William B. Eerdmans Publishing Company, Grand Rapids, Michigan), p. 142-143. “To whom God willed to make known what is the riches of the glory of this mystery among the Gentiles, which is Christ in you, the hope of glory.” (Col. 1:27). “I will ask the Father, and He will give you another Helper, that He may be with you forever; that is the Spirit of truth, whom the world cannot receive, because it does not see Him or know Him, but you know Him because He abides with you and will be in you. I will not leave you as orphans; I will come to you” (John 14:16-18). “What then shall we say to these things? If God is for us, who is against us?” (Rom. 8:31). “Love never fails” (1 Cor. 13:8).